The end goal of real estate agents never changes – they want to buy and sell homes for their clients, in the fastest time possible, for the best possible price. But one thing that does change is the tools of their trade, and one that has massive potential is Artificial Intelligence. Technologies that utilize AI are fairly common already. For example, there are listing platforms that can automatically match buyers to new listings within minutes of their being posted online. Agents can also use AI powered tools to send out marketing materials to their most likely sales leads, while advertising on social media is made easy with on-demand ads at different pricing structures. AI won’t be replacing human real estate agents anytime soon, but the technology can certainly help agents to save time, meaning they have more energy to pursue their end goals. Here are four ways AI is helping agents to help themselves already. AI powered sales platforms are able to think and learn just like real-life agents, and that means they can also work out how to get the most money from each sale. AI platforms do so by automatically matching each listing with the most suitable buyers. So if you have a buyer in need, a program can automatically match them with all the relevant pockets; coming soon, active and pending listings; listings wanting backup buyers and even public records. With AI-powered marketing software, a variety of marketing options are presented to agents, who can then implement them immediately. Imagine being able to see all of your goals, everything you’ve accomplished so far this year, and everything else that’s in your to-do pipeline, at a single glance? That’s already possible with AI-powered software which also serves as a powerful tool for coaching and motivating professionals to do more. Chatbots make it possible for agents to interact with clients without paying any attention to them. 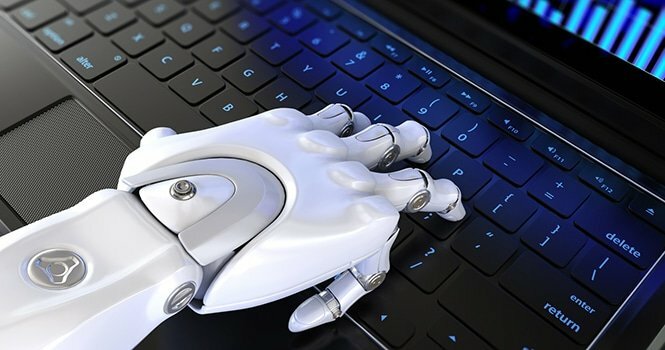 These automated bots can be programmed to follow rules that guide their automated responses, providing valuable information to clients via websites, social media and smartphone applications. Chatbots can also handle marketing outreach, before providing agents with the most qualified leads to follow up on personally. AI technologies such as these have the potential to be truly revolutionary, which means agents can spend more time selling and less time on those boring, unproductive tasks. Projected to massively improve agent productivity, platforms with artificial intelligence make an agent’s life easier and their workflow more efficient —just push the button and watch the magic.